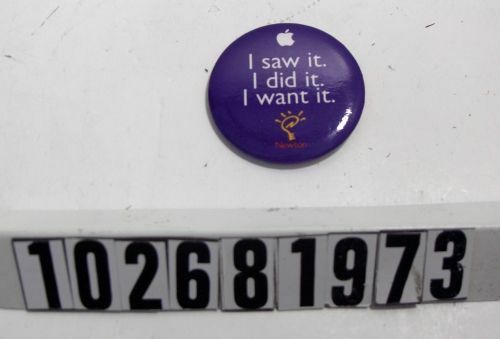 Printed is the Apple logo, Newton logo, with "I Saw It. I want it. I did it." printed on it.